Sugandh Kokila Essential Oil that we manufacture, export and supply is widely in demand amongst buyers owing to its purity and accurate composition. Our Sugandh Kokila Essential Oil is Ayurvedic oil that is known for its healing, calming and medicinal benefits. Owing to its therapeutic properties, the oil is extensively used in spas and aromatherapies. 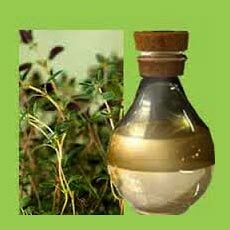 Buyers can obtain from us bulk quantities of Sugandh Kokila Essential Oil at very affordable rates.